The Buteyko Method is a popular method used by many people as a natural way to control your breathing and stop snoring. 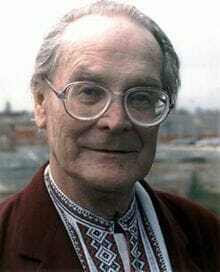 Dr. Konstantin Buteyko was a Russian doctor, born in 1923 about an hour and a half from Kiev, Russia. During his medical training, and after hundreds of hours researching and documenting breathing patterns, Buteyko could actually guess the exact time a dying person was going to pass, just based on their breathing patterns, and how often they took their breaths. Buteyko was an expert in breathing habits, that eventually led to his own treatment of a fatal disease he was diagnosed with. During his schooling, Buteyko was actually suffering from malignant hypertension, which is a dangerous form of high blood pressure. It becomes onset very quickly and can easily damage your organs. Under the observation of his professors and doctors, Buteyko started to inhale a series of short breaths, leading him to believe that he could actually treat his hypertension and reduce his pain by breathing short breathes instead of deep breathes. His self-treated practices blew away the 12-month death sentence suggested by his doctors and he lived for years studying breathing patterns and how they directly impacted many diseases and illnesses that are quite common today. Buteyko developed a practice that consisted of a type of breathing exercises and movements to relax your breathing and maintain a constant stream of airflow in and out of the air passageways. Buteyko coined the term ‘over-breathing’, which he thought was onset by our modern day lifestyle that is caused by poor eating habits, a lack of physical activity, environmental pollutants, not getting enough sleep. He believed that we should naturally take short breathes instead of long deep ones. Dr. Buteyko believed that we are actually breathing 2-3 times more than what we should actually be ingesting. Some signs of over-breathing are listed below. Buteyko’s method includes holding your breath for several seconds in order to allow more airflow through the nose. Some people experience breathing issues in the nasal cavity due to allergies, a deviated septum or respiratory issues. This method involves pausing your breathing repetitively in order to create more of a demand for air in the nostrils. 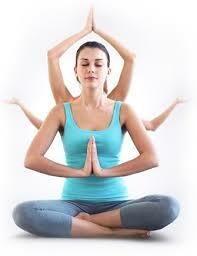 Relaxing your diaphragm is a common breathing exercise in Yoga. 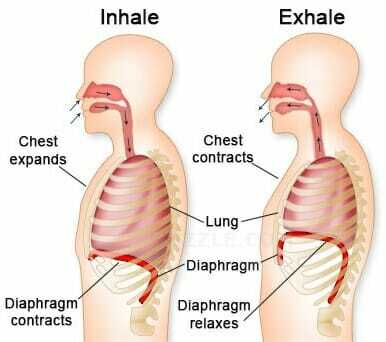 You can relax your diaphragm by taking a large deep breath and filling your belly and ribs with oxygen. Then you force every last bit of air out in a long exhale, as you focus your mind on ridding the air from your chest. Then hold the exhaled position for a few seconds and a calm and relaxed stance. This slows your heart rate, increases metabolism, and decreases inflammation. More oxygen can be ingested through your mouth vs. your nose simply based on volume. You can inhale much more air through the opening of your mouth than you can breathe in through your nose. Buteyko promoted nostril breathing as much as possible in order to limit the number of breaths you inhale. Buteyko was an expert at tracking breathing by timing each breath and calculating how many seconds you inhaled versus how many seconds you exhaled, as well as how many seconds you paused during breathing. Eating a healthy well-balanced diet, exercising each day, and avoiding pollution from the air and your surroundings are no surprise to those who wish to maintain a healthy lifestyle. Dr. Buteyko stressed the importance of eating natural, organic foods, free of processing and harsh chemicals. He also encouraged his patients to exercise regularly, which promotes airflow to all areas of the body, and keeps a healthy mind. He also thought it was important to not smoke, or be in the path of smoke from someone around you. Living in a non-polluted, natural environment was also strongly encouraged. Buteyko conducted a study in 1967 with nearly 200 medical colleagues and over 1,000 patients. They treated each patient with Buteyko’s breathing exercises in a recommended daily regiment, and nearly all of his patients were able to treat their respiratory ailments and conditions effectively. The Buteyko Method is surprisingly similar to several yoga breathing exercises. Certain yoga poses or exercises focus on relaxed breathing patterns, just like in Buteyko’s method. The point is to relax the diaphragm and open up your nasal cavities to promote nasal breathing. Read more about these yoga breathing techniques. How Does Buteyko Stop Snoring? The basic premise behind the Buteyko Method is that your body can thrive and remain healthy by practicing nasal breathing exercises while simultaneously clearing any nasal obstructions that could be the culprit behind snoring. There is some grey area around the Buteyko Method since there are no recently documented clinical trials that prove that this is 100% effective to stop snoring or treat sleep apnea. If you are searching for a non-invasive treatment for snoring, there are many over the counter products available to give you a good night’s rest. Many products include nasal dilators, breathing strips, and snoring mouthpieces. You or your bed partner may be losing sleep at night because your snoring could be waking your or your bed partner up at night. If you have been told that you snore very loudly, or find yourself waking up at night because of your snoring, you could have sleep apnea. Loud snoring is not normal, especially on a regular basis. If you suffer from daytime drowsiness and notice that you are tired in the middle of the day and are rather lethargic, this could be due to you not getting a good night’s rest. Waking up to a headache first thing in the morning is the worst. This may be the result of the lack of oxygen going to your head and brain throughout the night. If you suffer from sleep apnea, you actually stop breathing for several seconds over the course of the night, and it may occur hundreds of times in a given night. The lack of oxygen being circulated to all parts of your body is very dangerous and needs to be addressed. Experiencing a dry mouth in the morning is also another sign of sleep apnea. Since snoring is a symptom of sleep apnea, your throat and mouth may become dry, especially if you snore through your mouth instead of your nose. If you or a loved one experience many or all of these signs, it’s important to seek medical attention immediately, as sleep apnea may lead to hypertension, heart failure, early states of dementia, and stroke. Next post: MMA Surgery for Snoring – What is Involved in Jaw Surgery and Does It Stop Snoring? Previous post: Upper Airway Resistance Syndrome UARS – How Does UARS Compare to Snoring and OSA?